Lub Loch Achair, Co. Donegal. 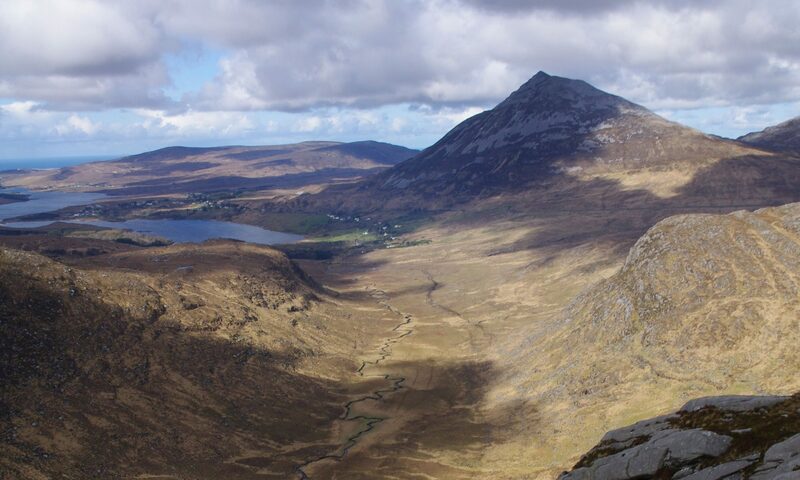 This months’ New Members outing will follow a way-marked walk which takes in part of the old Lough Swilly Railway line which runs along the base of Muckish Mountain. The old railway line formed part of the narrow gauge Letterkenny to Burtonport line operated by the Lough Swilly Train and Bus Company until 1940. A walk with spectacular scenery and a touch of history. Contact Sharon for more details. Previous PostPrevious Dunree Beach clean-up, Inishowen, Co. Donegal. Next PostNext A Benwisken we shall go…this Sunday.